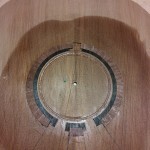 Here are some construction pics from the rosette on #11. 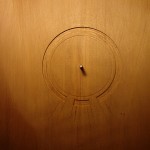 It’s an unfortunate tale told in a sequence of pictures. 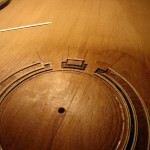 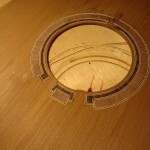 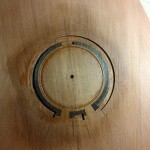 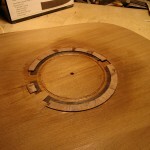 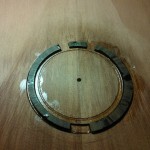 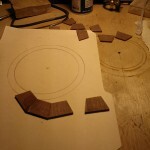 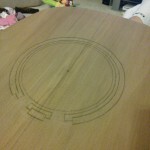 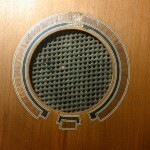 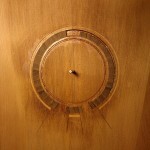 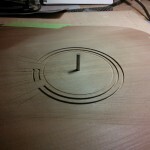 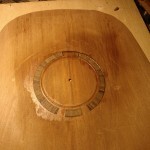 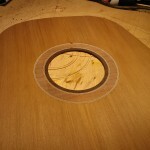 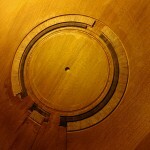 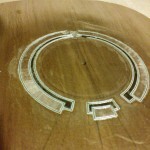 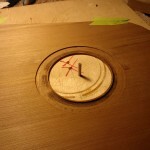 As you can see I didn’t inlay the material deep enough so it didn’t take long before the rosette started sanding away. 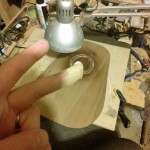 I had to compromise. 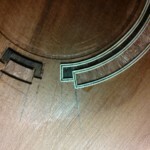 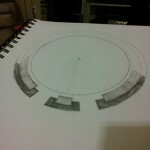 The original rosette design will be getting a rebirth on another guitar sometime soon.